'Some of my students turn to Madonna for spiritual inspiration ... and they're not thinking of the mother of Jesus,' a teacher from a Catholic college blurted out to me at a recent seminar on the place of faith in contemporary society. Bewildered by the profusion of sources from which students seek spiritual sustenance, she was suggesting that many of these sources have little or no capacity to sustain the human spirit. Her remark captures some dimensions of the context in which churches today proclaim their message. Over the past 50 years or so, a multitude of spiritual options have exploded into western societies. Christian denominations, other world religions, and humanism are among these options, along with numerous combinations of, and variations on, the above. Even inert objects like crystals are invested with spiritual power today. It is possible to judge the gamut of spiritual options, particularly the more exotic forms, as compelling evidence of the trivialisation of religion. But such a judgement misses a deeper dimension of the cultural change. In the latter half of the 20th century, a culture of authenticity has developed in which not just elites but people generally seek their own way and their deepest fulfilment as best they understand it. 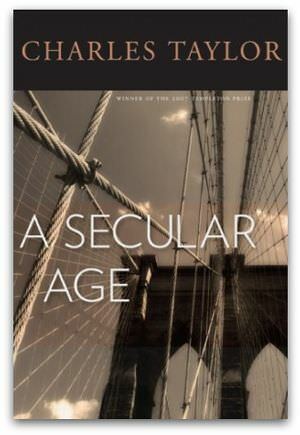 Canadian philosopher Charles Taylor explores this line of thought in his 2007 work, A Secular Age. While the emergence of the culture of authenticity means people can turn to what seem shallow and undemanding spiritual practices, the new culture has also transformed the lives of adherents to mainstream religions. Indeed, the emphasis that religious practice must make sense of an individual's spiritual development as best they understand it is not at all foreign to the Christian tradition. Jesus often challenged his hearers to move beyond their concern with public manifestations of piety to a discipleship in which God transformed their hearts. Over the centuries, this 'inward turn' has found expression in the documents of some church councils as they sought to enjoin personal devotion and ascetic discipline on all believers. Ignatius, the 16th-century founder of the Jesuits, developed a method of spiritual discernment that focused on the inner sense of joy or 'consolation' that God's presence brings in contrast to its opposite, desolation. Christians wishing to proclaim their beliefs today must begin by recognising that our age is not devoid of God; that God's spirit is at work in new ways in this culture, penetrated by the ethic of authenticity. Indeed, it is possible to see that the culture has sprung in part from Christian roots. This is not to deny that an individual's spiritual search can lead into cul-de-sacs and dead-ends, nor that God can be rejected in a multitude of ways. Christians today should remain alive to the questions of this age, while at the same time living a life rooted in God's love. In this way, each encounter opens up the possibility of dialogue. It allows the believer to be attentive to the other's search and to ask appropriately: Is not God at work here? Does the gospel enlighten this path? From the perspective of the teacher at the Catholic college mentioned above, the task of proclamation requires her to find ways in which every aspect of the curriculum and of school life can lead students to wonder at the mystery of creation and to recognise God acting in human life and culture. When students discover the mystery of God's presence in what had previously seemed mere material existence, they have embarked on a more sustaining spiritual journey. James McEvoy teaches theology at Catholic Theological College, Adelaide. Recent articles by James McEvoy. Thanks ES for food for thought at the start of yet another day. Emboldened by the hero of the first piece today, I'm moved by James McEvoy's piece to talk of the path many older Australian Catholics are looking for. Dispirited by an institutional church that marginalises a hero like Bishop Geoffrey Robinson and gives power to a George Pell, they look for refuge in the thought of 'a life rooted in God's love' even as they watch (for God's sake!) Redfern, formerly the parish of Australia's most progressive thinker and advocate for Aboriginal people, the late Ted Kennedy, handed over to the utterly backward and unenlightened Neo-Catechuminal Way. Admittedly there were problems for Pell in handling the parish after Ted's death, but he showed there were even greater problems with his own spiritual discernment when he championed the Neo-Catechuminal Way to his priests, expressing his disappointment that they didn't seem to be sympathetic to one of 'the new movements in the Church'. New? - when they are hell bent on taking the church back into the excesses of pre-Tridentine obscurantism! A problem is that we need to have faith God will do his work if we leave him room. We can't solve it all and he's often very slow to reveal the outcomes to us. Doing this is harder than ever in today's culture of goals and strategies to quickly achieve an outcome. As I move among people who may have no faith background I am seeing the sense that 'something is missing' get stronger and stronger. If we trust, hope and pray the Lord will help all who share his image and likeness to move from the secular to the sacred. Many thanks to James and to Eureka Street. I very rarely read an article that so exactly expresses what I feel! When surfing the net one day, I came across this passage (page 75, The revised Schema, Dei Verbum: A New Focus), which seems to me to be closely related to the final paragraph from James McEvoy's article. It seems to me that the wonder experienced in aspects of culture, when reflected upon in the light of scripture, is a means of achieving union with God. The rights of free speech and assembly should not be curtailed because World Youth Day pilgrims might be annoyed or inconvenienced. The NSW regulation is a dreadful interference with civil liberties, and contrary to the spirit of Catholic Social Teaching on human rights.